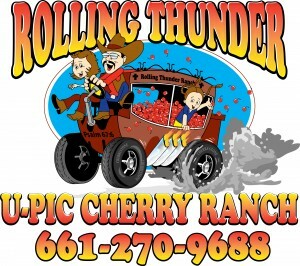 Rolling Thunder Cherry Ranch has Rainier cherries, Bing cherries, and Skeena cherries available for you every June. We are members of the Leona Valley Cherry Grower's Association and guarantee pesticide free fruit. As of June 18th we are SOLD OUT for the 2018 season. Thank you for visiting!